This product comes in different variations. The ZD Series dampers are heavy-duty commercial modulating dampers. These 3-wire dampers provide application flexibility and allow for minimum position adjustment. 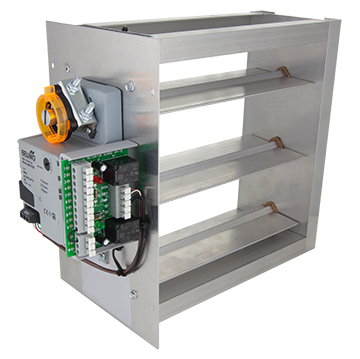 The ZD Series dampers are used with the Z-2000 zone panel or Zone One modulating stand alone zoning system. 8" x 6" to 36" x 12"